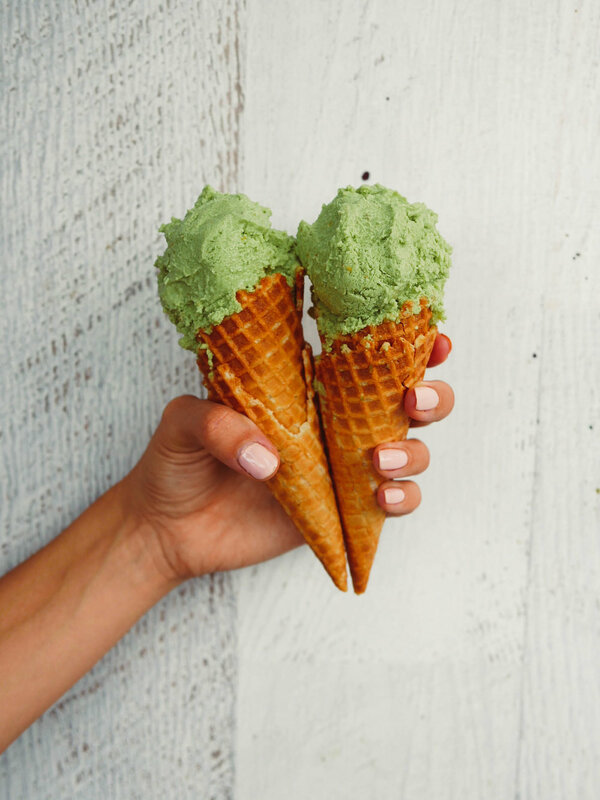 This Avocado Ice cream is a game changer and you don't need an ice cream maker to whip it up! This recipe is a rich, creamy and refreshing dessert that only uses 4 ingredients to make. It's the perfect treat for warm, summer days. Avocado has an insane amount of health benefits! It is packed with more potassium than bananas, loaded with healthy fats, high in fibre, rich in vitamin C and packed full of anti oxidants. For more avocado recipe inspiration take a look at the 5+ A Day website here. Peel avocados or cut in half and remove the pit, taking out the flesh. Place the avocado flesh, coconut cream, sweetener and lemon juice into a food processor. Blend all the ingredients until smooth and creamy. Pour into a loaf pan and freeze for at least 4 hours before serving.